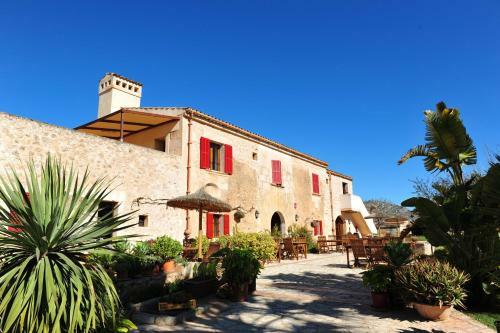 Finca Ses Cases Noves in Sant Llorenç Des Cardassar is a country house with 9 Rooms. 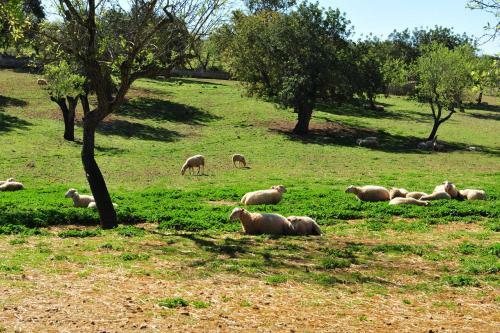 Ses Cases Noves is set in the countryside outside Llorenç des Caradassar. 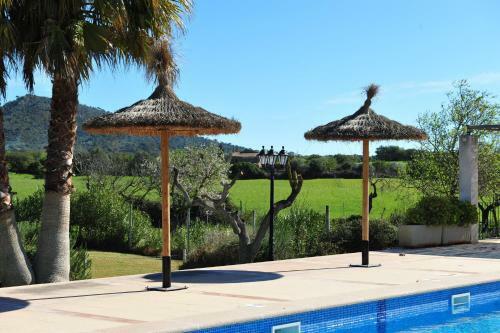 This traditional Mallorcan property offers a beautiful setting, an outdoor pool and apartments with terraces. 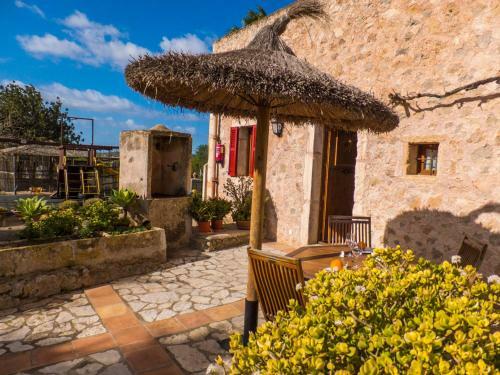 Ses Cases Noves is surrounded by lovely grounds with gardens and yards with farm animals. 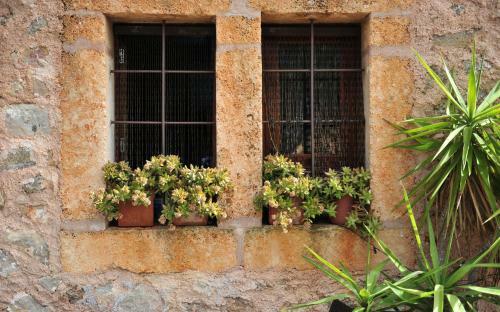 The apartments are set in a stone-clad country house with beamed ceilings and original window frames with pretty red shutters. Each apartment is finished with lightly coloured, modern touches. There is a living area with a sof...a, and a kitchenette with a fridge and a hob. Air conditioning, flat-screen satellite TV and free Wi-Fi are included. 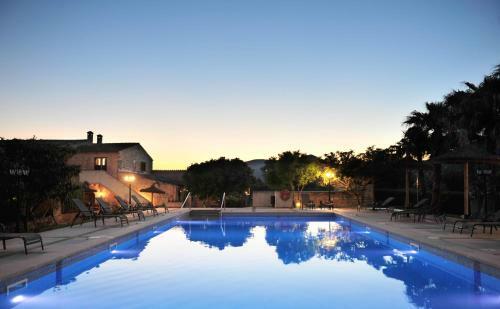 The Cases Noves has a lounge and there is also a barbecue on the poolside terrace. Children can enjoy use of a play area and a small football pitch. The beaches around Cala Millor can be reached in approximately 15 minutes by car. Palma and its airport are around 60 km away. 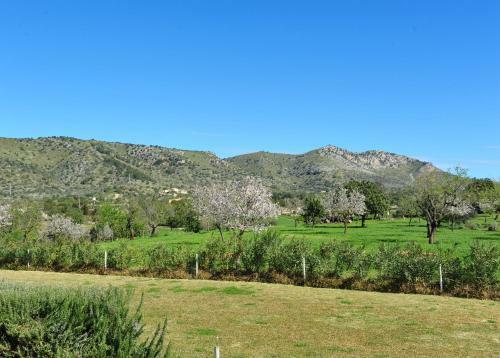 Ses Cases Noves is set in the countryside outside Llorenç des Caradassar. 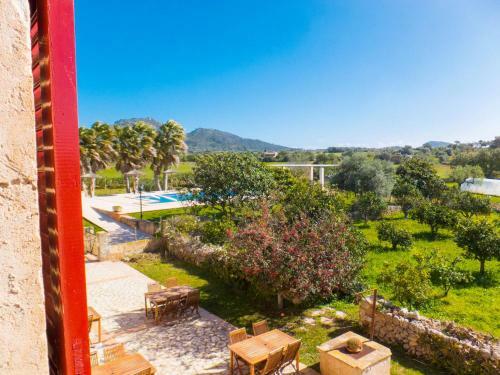 This traditional Mallorcan property offers a beautiful setting, an outdoor p...ool and apartments with terraces. 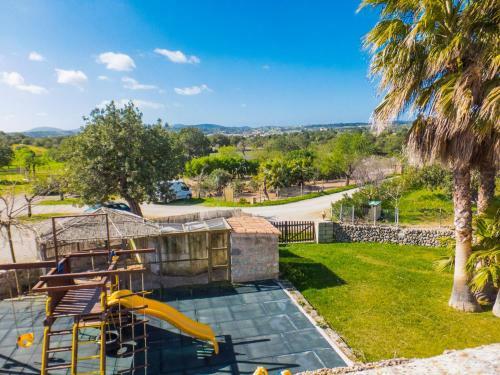 Ses Cases Noves is surrounded by lovely grounds with gardens and yards with farm animals. 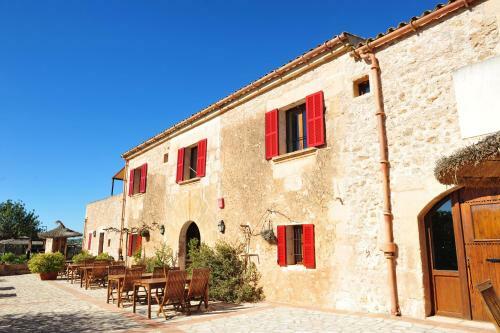 The apartments are set in a stone-clad country house with beamed ceilings and original window frames with pretty red shutters. Each apartment is finished with lightly coloured, modern touches. There is a living area with a sofa, and a kitchenette with a fridge and a hob. Air conditioning, flat-screen satellite TV and free Wi-Fi are included. 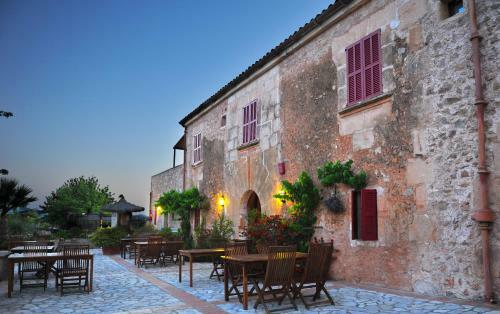 The Cases Noves has a lounge and there is also a barbecue on the poolside terrace. Children can enjoy use of a play area and a small football pitch. 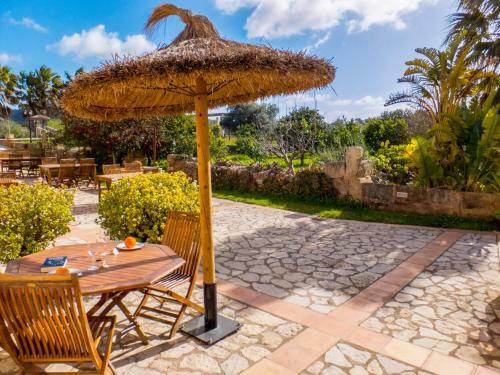 The beaches around Cala Millor can be reached in approximately 15 minutes by car. Palma and its airport are around 60 km away. 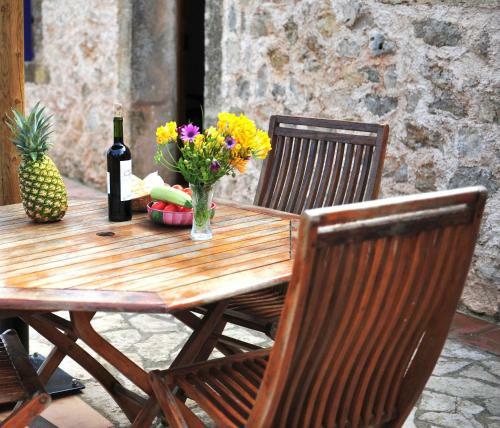 When would you like to stay at Finca Ses Cases Noves? Children and extra beds All children under 1 year stay free of charge for children's cots/cribs. 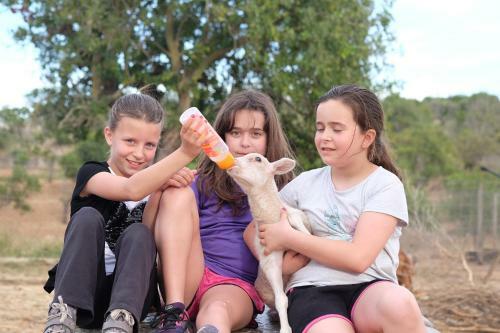 All children from 2 to 12 years are charged EUR 19 per person per night for extra beds. All older children or adults are charged EUR 30 per person per night for extra beds. All children under 2 years stay free of charge when using existing beds. All children from 2 to 12 years are charged EUR 19 per person per night when using existing beds. The maximum number of children's cots/cribs in a room is 1. The maximum number of extra beds in a room is 1. Supplements are not calculated automatically in the total costs and will have to be paid for separately when checking out. Any type of extra bed or child's cot/crib is upon request and needs to be confirmed by the innkeeper. Please inform Finca Ses Cases Noves in advance of your expected arrival time. You can use the Special Requests box when booking, or contact the property directly with the contact details provided in your confirmation. This property will not accommodate hen, stag or similar parties.